The four Toys R Us exclusive Bricktober 2017 minifig boxes are now available in the UK. They are listed on the TRU website but you can’t buy them online, or check in-store stock availability, so you’ll have to try your luck in your local branch. 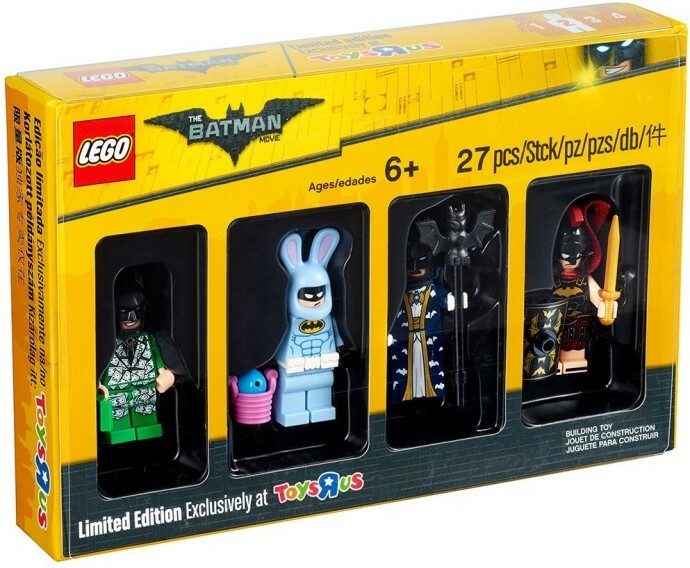 This LEGO Batman Movie collection featuring 4 new Batsuits is likely to be the most popular and sell out first, so don’t hang about if you’re after it. Thanks to juggleman and others for the news.